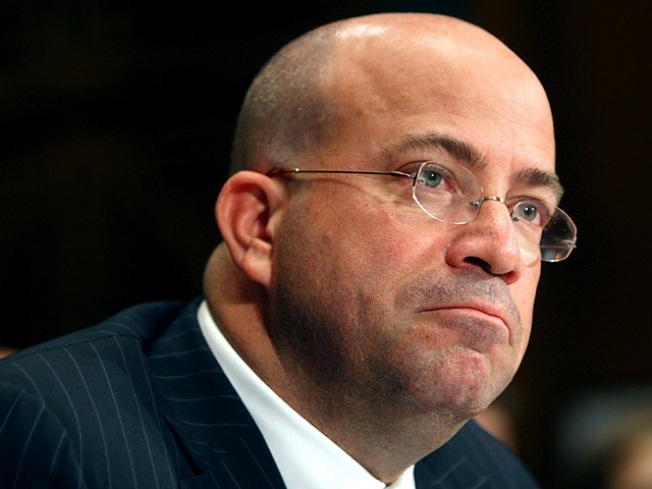 Jeff Zucker, who began his career at NBC Universal as a 21-year-old research assistant and rose to president and chief executive officer, said Friday in a company email he's leaving the network ahead of its expected takeover by cable giant Comcast. Zucker, 45, led the network through both triumphant and stormy times, epitomized by the last year's acclaimed coverage of the Olympics and its widely criticized handling of its signature "Tonight Show." His departure was the subject of much media speculation from the time General Electric announced it would sell a majority stake in the company to Comcast. Zucker said it was made official in an emotional meeting with Comcast Chief Operating Officer Steve Burke. Zucker rose to become executive producer of the "Today" show at age 26, steering it to the top of the ratings before becoming the network's entertainment president in 2000 and overseeing such hits as "Friends," "The Apprentice," and "Fear Factor." In 2005, he was elevated to chief executive officer. In an emotional email to employees, Zucker noted that NBC Universal is the only place he has ever worked as an adult. "I met my wife here, enjoyed the birth of our four children in that time, worked in almost every division of the company," he said. "Sure, there have been ups and downs in the last quarter century," he added. "But when I step back, and think about what we've been through, I feel nothing but pride and joy. It has been a great run and I've been incredibly fortunate. Zucker famously kept up a grueling work schedule even after being diagnosed with colon cancer at age 31 and going through chemotherapy. His competitive drive and what BusinessWeek called combative nature is widely credited for his rapid rise at the network. Over the last year, Zucker drew criticism for his handling of "The Tonight Show," where longtime host Jay Leno was replaced by Conan O'Brien for seven months, before being brought back amid slumping ratings. But Zucker said he is leaving the company well positioned, with a profitable lineup of cable channels, including USA, Bravo, SyFy and Oxygen. Last year, NBCU generated some $2.3 billion in profits, most of which came from the cable division, according to the Times. Comcast is expected to complete its purchase of 51 percent of NBC Universal by year end, according to GE CEO Jeffrey Immelt. He said Zucker will continue his responsibilities until the eal is consummated. “During the next few months, Jeff will focus on ensuring a smooth transition to a new leadership team,” Immelt said in the statement.